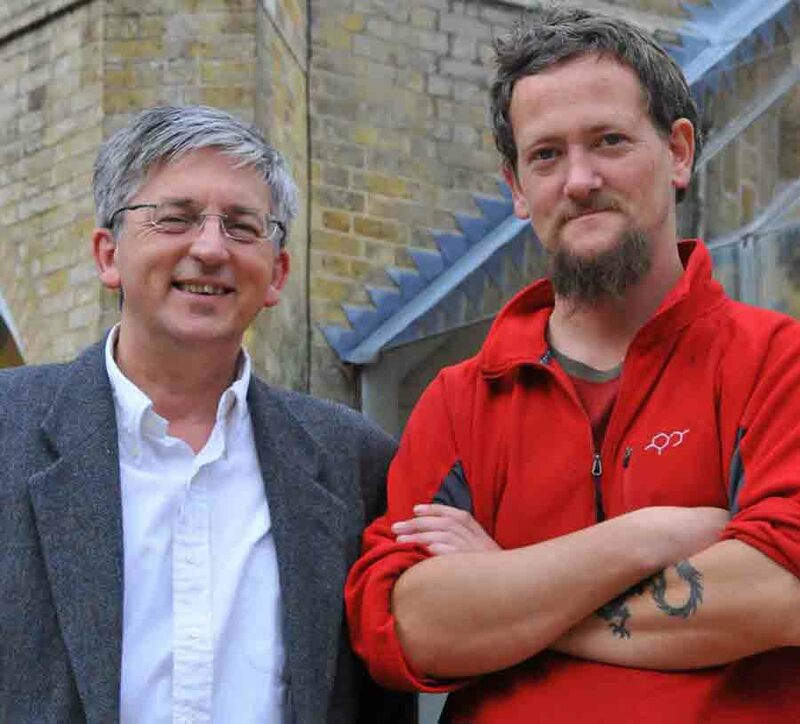 The blogging world has been ablaze in recent days relating to the revelation that the Anglican Vicar Stephen Sizer involved the police in an online dispute with a young messianic Christian blogger (Seismic Shock). Stephen Sizer is a public figure and a renowned anti-Zionist and Seismic Shock analysed his written work and lectures, on his blog. It would seem that Seismic Shock has himself become the victim of an intimidation campaign as a result of this activity. I was very disturbed by the involvement of the police and the subsequent intimidation that Joseph Weissman (aka Seismic Shock) had received, and so I blogged about this here and here. I haven’t blogged much over the last couple of days and the simple reason is, that I have been unnerved and a little shocked by accusational emails, sent to me from a certain quarter of the conservative evangelical Anglican church. I have been advised today that an Anglican group wishes to sever ties with me and no longer want me to work with them, on an upcoming project, on a voluntary basis. I can only assume this is because I haven’t toed the party line. I have discovered from your site that you have been instrumental in what I can only regard as a hate campaign. I was horrified to read the list of people who have taken up this war cry. My comments on another blog have even been noted and an email sent to me, to warn me off. So far I have been accused of: organising a lynch mob, witch hunt, hate campaign, making a song and dance, making things awkward for an Anglican group affiliated with Sizer, of being culpable of terrorising, of dishing out persecution, of consorting with the ‘wrong types’, and told that I should ‘draw a veil’ over any of Sizer’s theology that I may have an issue with, and so on. I think you get the picture. The issue of theology is to me now moot, as my main concern is freedom of speech and the involvement of the strong arm of the law in an attempt to intimidate and censor a blogger. I’m posting this now, to bring this in to the open. There would certainly appear to me, to be some who would wish to censor me on this issue and I am tired of private emails of an Ad Hominem nature, that simply attack me and do not even address the issues and facts at hand. I have been advised to Google Sizer and find out for myself that Sizer is an ‘expert’ on Israel and has actually visited the country a number of times and has even produced a number of books. This advice came with the admittance that this is a topic on which they know very little! I have even been accused of being partly responsible for the very reason that the police were called in on this issue in the first place, even though the incident happened last November and I only blogged about this for the first time, over the last few days. Christians must not attempt to censor one another, or attempt to censor the non-Christian world, as this only causes further exposure and an inevitable backlash. Please do check out the Streisand effect. We cannot (and should not) demand a platform for freedom of speech for ourselves and then attempt to silence our critics. Here are a couple of links relating to this issue and freedom of speech online. If you feel so inclined, why not re-post this video on your blog to stand up for freedom of speech! Posted by Modernity – reposted so far by eChurch, John Gray, Z-Word, The Poor Mouth, Sedgemore and IsraelWhat. So, the former National Front activist re-emerges as an evangelical Christian theologian with a specialty in ‘anti-Zionism’ and Islamist ‘resistance’ movements who attends a conference in Iran that is backed by the Holocaust denier in chief, President Ahmadinejad. Dr Anthony McRoy, a lecturer on Islam and former National Front member, also complained that comments made about him on the blog, which was run from a Leeds University computer, were an incitement to violence. Mr Weissman, a messianic Jew, said he had been at home in Leeds one Sunday morning at the end of last year, when police arrived at the door. This brings me to the point of my agreeing to the police talking to Mr Weissman. His comments about me – misrepresenting me as a supporter of Al-Qaida – placed me and my wife and children in physical danger. My children came across Weissman’s comments once when surfing the web. Imagine if there had another major Al-Qaida operation against the UK like 7/7. What if people were killed – and then people in my neighbourhood, or pupils at my children’s school, surfing the web, came across Weissman’s falsehood that I supported Al-Qaida. In the fear and outrage following such an incident, my family could have become the targets of revengeful violence. I’d like to take a step back. Meet Dr Anthony McRoy, lecturer at the Wales Evangelical School of Theology. Seismic Shock has already criticised McRoy for his praise of Hezbollah, and now examines his apparent admiration for Al Qaida, and terrorist leaders Osama Bin Laden and Abu Musab al-Zarqawi. I did not say that Dr McRoy supported Al Qaida. My impression was that he “apparently admired” Zarqawi’s cleverness, compared him to an iconic Left wing revolutionary, and concluded with a condemnation of the “lackeys” who were fighting against him. I strongly disagreed with the argument and tone of that controversial piece, and said so, just as hundreds of commenters do on the Guardian website, every day. Dr McRoy also criticises my take on his paper given at a messianic Khomeinist conference in Iran, entitled “The solace of the savior and Hezbollah’s victory: belief in the Mahdi and Jesus as an encouragement to resistance”. That conference “enjoys the enthusiastic backing of President Ahmadinejad. He was the introductory speaker”. At the conference I attended, all the Muslims were excited about the outcome of the Hezbollah-Israeli conflict that year. Since the subject of the conference is Mahdism and Messianic expectation, I thought it appropriate to examine the role of Mahdist expectation in the history of Hezbollah, and compare and contrast it with Messianic expectation in Christianity. The linking theme was Justice, since Muslim expectations of the Mahdi are that he will ‘fill the world with justice and equity’. Naturally, after offering an academic description (not endorsement) of this in Shi’ism and more expressly in the Iranian Revolution and Hezbollah, I looked at the Christian approach to Justice – and the means to achieve it – obviously, one that was non-violent. Frankly, I would have thought it ridiculous that anyone would assume that I somehow believed in Islamic eschatology, especially as it influenced Khomeinist ideas. I do not think that this was a ridiculous assumption at all. Hezbollah also used one of its own special types of resistance against the Zionist enemy that is the suicide attacks. These attacks dealt great losses to the enemy on all thinkable levels such as militarily and mentally. The attacks also raised the moral [i.e. morale] across the whole Islamic nation. Thus, we can truly say that Hezbollah’s victory over the Israeli bombardment in 2006 was the Triumphant Jihad of the Mahdi. The fact of the Mahdi’s inspiration of Hezbollah’s jihad was hidden from the eyes of the Israelis. [L]ike Hussein, Jesus was cruelly murdered by His religious opponents, suffering scourging (Mark 15:15) and Crucifixion at the hands of the pagan Romans (Mark 15:24), incited by the Jewish priesthood (John 19:6). It worries me that McRoy thinks that here he is merely expressing a dispassionate academic opinion. He must surely have had some idea of how these ideas would be interpreted by his audience in the Islamic Republic of Iran. I also find it odd that McRoy will criticise the apocalyptic drive of Christian Zionism whilst having nothing but kind words for the similarly apocalyptic drive of Khomeinist Islam. My final criticism of Dr McRoy is one which, at the time, I thought was fair. I now would like to withdraw it for reasons I explain below. Anthony McRoy says different things to different audiences, and thinks that, whilst he should tell other people to preach the Christian message to Muslims, when he himself addresses a Muslim audience, the most important thing to talk about is resistance to Israel. Those meeting Ahmadinejad commented how intelligent, humble, charismatic, and charming he was. Surprisingly, the US delegates seemed especially taken with him. Personally, I tend to be cautious of all politicians whatever their nationality, but I could why he worries America – not because of the nuclear issue, but because he is such a contrasting alternative for people in the region to the corrupt, self-interested pro-US despots that litter the Muslim world. Recent polls in the region show that Ahmadinejad is vastly popular. The Sunni Arab delegates lauded him. Certainly, it was wise of Bush to decline Ahmadinejad’s offer a debate. Those who remember the way George Galloway wiped the floor with Senator Coleman will have an idea of what would happen. Not a word of criticism of the man: only praise for his talents. I remember writing a parallel article for Evangelicals Now (which Mr Weissman saw fit NOT to reproduce) where I elaborated on this, expressing disappointment that Ahmadinejad did not address the Embassy hostage issue. Please note that I did NOT say that I found him ‘intelligent, humble, charismatic, and charming’ -rather that was the reaction of others. I then made a descriptive analogy of his ability and manner in answering questions to explain why it would not have been a good idea for Bush to have debated him – but note that I said that Blair could have done so. Acknowledging someone’s debating ability and manner is NOT the same as endorsing his policies. He makes my point. The article for Evangelicals Now criticises Ahmadinejad, but the one for Muslim Weekly does not. Last year I was interviewed – not so much as a Christian, but as an academic expert – by Iran-based Press TV on the three revolutions in world history – the French, Russian and Iranian. When I addressed the latter, I was asked whether the revolution had been true to its roots. I answered that the Khomenists got what they wanted, but not the leftists, or secular democrats. Moreover, I observed that religious minorities – Jews, Christians Zoroastrians – were all excluded from political office, apart from dedicated seats in the Majlis (Parliament), and that Christian converts from Islam had often either been executed or ‘mysteriously’ disappeared only to turn-up dead. I also referred to the mistreatment of the Bahais. I then stated that if Iran wanted to improve its relations with the West it would have to redress these issues – and again, I highlighted that people in the West, whatever their religious opinions, or how secular or even atheists they are, will never accept that a person should be killed because he changed his religion. I was recently interviewed by an Iranian state channel on the revolution, where I largely repeated these points, especially the on the killing of converts. Hardly a case of supporting Iranian policy – nor of failing to say to Iranians what I say to Western audiences. I did not compromise my message to one degree. Needless to say, Mr Weissman never referred to this on his website – perhaps he didn’t know. If he had contacted me in the normal way, I could have told him. That was a very admirable and brave thing for Dr McRoy to have done. I would hope that, in a similar situation, I would have the courage to enter the lion’s den, and to argue against the wicked policies of the Islamic Republic on PressTV. It contrasts impressively with the approach that so upset me in the Muslim Weekly articles, and in the Mahdi conference in Iran. I am not surprised that Dr McRoy now cannot get a visa to enter Iran. However, I have an open blog. Anybody can read it, and anybody can post on it. Dr McRoy could have posted the story of his courageous performance on PressTV at any time. I would have immediately have published it, and I would have revised my opinion of him. Instead, he called the police. Dr McRoy – did you really believe that a short article critiquing your Zarqawi comment piece endangered your family’s safety? You are a man who has now criticized the Islamic Republic of Iran, on its own television channel. Iran sponsors both Hezbollah and Hamas. Surely they present a greater danger than the mere possibility that a classmate of your children might misunderstand my comments on a website? By contrast with your performance on PressTV, your decision to send the police round to tell me to delete my blog was not a brave response at all. Following accusations of cyber-bullying against myself, I am concerned about the abuse I received from Mordechai haCohen – a man endorsed by Sizer (http://stephensizer.blogspot.com/2008/11/meet-real-mordechai.html), who wrote about haCohen in November 2008. Meet Mordechai ‘Motkhe’ Cohen, a Messianic believer who has recently joined Christ Church family and is teaching me some Hebrew. Motkhe is not to be confused with another Mordechai who is not so impressed with me. “One year on, and yet you have not given your name out to you avid readers. Shmuck, you have real chutzpah to attack a man in words and via the web, when this man has offered many times to meet with you. We could have come to Leeds Uni to meet with you, There is several Rabbis in the area who would have given us court space. It wasnt that hard to retrack your eletronic footsteps once i had access to the mails you had sent someone else. Give your real name to people, and stop using the Name Mordechai, as a Mordechai, and as a Jew whom believes in Christ, and one who wears Tallis and Tefillin each day apart from Shabbiz and High Holidays, i find you not only small in name, but also in nature, as only a small man would attack and not allow himself to be shown. And yes the Name Mordechai does mean Small man. Yes i would rather sit down with terroists and talk about a way forward in Yisrayl, rather than having mothers sons killed, havin funerals, and more tension in our home lands, Yes i would sit down with Hamas, and yes i would sit with Iran and talk with them about a peacefull solution other than going to war. A man who would rather use the bible than a Galil rifle. I feel harassed and intimidated, and would be justified in calling the police and reporting harassment according to Rev Sizer’s logic, would I not? According to Mordechai haCohen, Stephen Sizer paid someone to set up a blog about me specifically, who went on to insult me as a “Ben Zaynim” (son of penises?) in Rev Sizer’s pay. Should I call the cops too? Seems like Motke really is quite a troubled and sad character and Sizer has quite unethically used him for his purposes(Messianic Jew on Messianic Jew!) He is a British citizen and ex-Marine that was also according to his claim, in the IDF, his wife was tragically killed in a road accident and he understandably has not coped well, he chose the road and became homless. come across him please could you extend the hand of friendship and let me know. How bizarre, and how sad.